Choral works by Masters of the Queen’s Music through the ages. 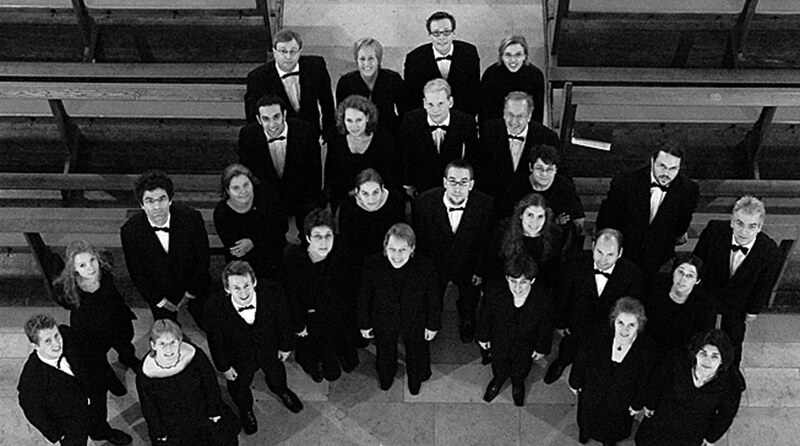 Recent concerts include a celebration of Benjamin Britten’s 100th anniversary at St Lawrence Jewry in the City of London, Tchaikovsky’s Sacred Pieces and Gretchaninov’s Vespers at the Greek Orthodox Cathedral and a performance of Mozart’s C Minor Mass to a packed audience at St Martin-in-the-Fields. Other highlights have been BBC Radio 4’s Christmas Morning Service, providing choral voices for Pink Floyd’s Atom Heart Mother alongside soloist David Gilmour at the opening of the Chelsea festival, and the première of Sir Peter Maxwell Davies’s Step by Circle, dedicated to music director Mark Forkgen. The choir stages regular trips abroad, most recently to Bulgaria at the invitation of the British Embassy in Sofia. Italy has been a favourite destination, where the choir has taken repertoire including Purcell’s Dido and Aeneas, and Handel’sMessiah and Israel in Egypt, which opened the Viterbo Early Music Festival. Recording, too, has an important place in Canticum’s schedule. The existing catalogue includes A Hymn to the Virgin, with works by Victoria, Poulenc and Panufnik, and A Christmas Carol, recorded in aid of the Samaritans. Both are on the Meridian label. In the Gloom of Whiteness with Craft Music features work by Colin Riley, Fraser Trainer and Keith Roberts. The live recording of Sir Peter Maxwell Davies’s Step by Circle and Two Latin Motets is available on MaxOpus. Canticum’s most recent recording, The Christmas Story, was released in December 2010 by the Classical Recording Company.